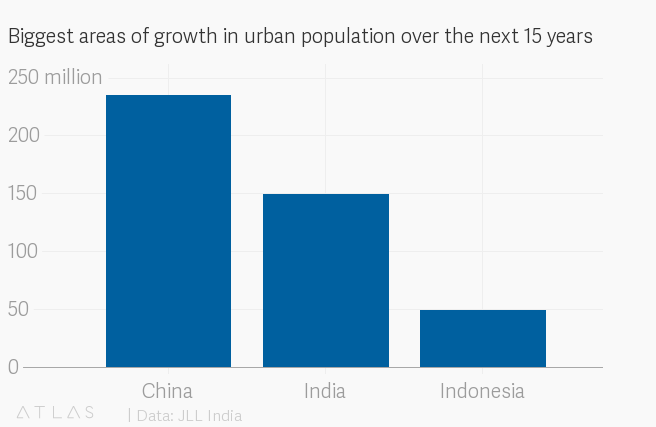 India’s swelling urban population is set to provide a major thrust to its co-living industry. The 150 million urban residents that it is poised to add over the next 15 years will make the country the “trailblazer” of co-living in Asia-Pacific, real estate services firm JLL India said in an April 03 report. A co-living space is a residential setup offering private bedrooms with shared areas like kitchens and recreational rooms to a group of people on rent. “Younger generations, fast evolving consumer trends, and the potential scalability of the (Indian) market is a real drawcard for startups and developers looking to enter the (co-living) market,” the JLL report added. Of the over 35 million tertiary students currently in India, over 10 million will migrate to other cities, all plagued by the lack of purpose-built student accommodation (PBSA). “As a result, some of the larger co-living operators like Stanza and Placio are targeting this student demographic and filling the void left by the lack of PBSA,” JLL noted. With more and more tertiary students enrolling, the number of fresh graduates and early-career professionals is also sizeable. Many of these young people are without a stable or high income, making house-hunting a horror in expensive metros. For instance, in the commercial hub of Mumbai, residents have the fastest-growing salaries in India but they still can’t afford a home. While cost is an important parameter, the shared-living model also offers convenience and community that a regular residential setup won’t. Those who face discrimination from landlords for various reasons ranging from being unmarried to eating non-vegetarian food or following a certain religion, have a viable option now. Already, scores of companies have made their bets on the market. In October 2018, Softbank-backed hospitality startup OYO announced the launch of its co-living vertical OYO Living. Bengaluru-based Zolo is targeting 50,000 beds pan-India by the year-end, up manifold from its current supply of 16,000 across six cities. US-based WeWork is also reportedly bringing WeLive, its serviced-apartment offerings in co-living formats, to India this year. Institutional investors and venture capital firms are also drawn to the booming industry, JLL noted in its report, citing marquee investors like Sequoia (Stanza), Nexus Venture Partners (Zolo) and Goldman Sachs (Nestaway).